Earth From Space - Solar System Planets And Moons Section. 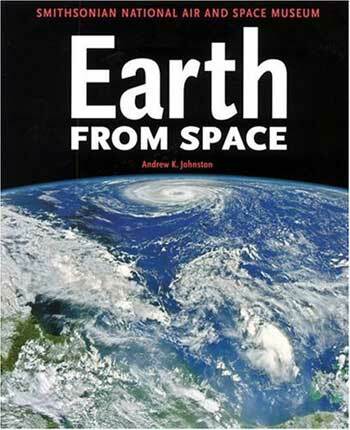 Earth from Space - Book Review. You may think that digital cameras are a tad expensive. But place them onboard a satellite and the cost (and camera!) go through the roof. So what does half a billion buy you? Andrew Johnston in his book, Earth from Space, gives the layman's perspective on this by presenting views from remote sensing satellite. The stunning results give a whole new appreciation of the complexity and beauty of the Earth's surface. Whether wonderful works of art or detailed technical disseminations these images capture stunning views of our altogether small world. This book is somewhere between a coffee table art book and a grade school science book. It has over three hundred stunning images of the Earth and, in particular, man-made structures divided up into eight chapters. The break down isn't immediately obvious, but the overall result is. These views from remote sensing satellites help us understand the forces at work and in particular man's influence. Seeing the drastic changes due to mankind causes some deep retrospection. A typical chapter starts with a couple of pages detailing the importance of a particular topic. Often side bars therein contain small pictures of the Earth (on the typical lat/lon perspective) that focus on one measurable parameter, such as surface temperature or ozone level. The main text discusses these and other related subjects all within the broad topic. Mineral content, for example, includes surface geology, presence of craters and shapes of desert plumes. The pages after the text contain many large format (25cm by 25cm) images that highlight the topic. A view's extent ranges from continental to citywide. The colour format can be real, infrared, or false coloured for highlighting. Also, a caption adjoining each image clearly describes the feature of interest, a bit of background of its significance (e.g. longest river in the world), the originating satellite and the acquisition date. Man-made marvels take up a good portion. Toronto's Skydome stabs upwards. Robert Smithson's artwork 'Spiral Jetty' is just that, an impressive 450m long sculpture of placed rocks curling into Great Salt Lake of Utah. One awe inspiring view shows the al Haram mosque in Mecca with 400,000 worshipers surrounding the Ka'bah. Though man-made features predominate, nature gets to show off as well. North America's spring and fall foliage have gorgeous comparative views. volcanoes and lava flows strut their fire and aftereffects. Hurricanes and glaciers meander in pleasant streams of vortices and funnels. The sand dunes from Yemen look like a beach shore at your toes until you read that the camera is at 800km and the average dune's height is tens of metres. The Lena River in Siberia appears refreshingly green except for the vivid slashes of red scars throughout, the result of natural forest fires. nature apparently makes great art without really trying. Yet in a very unassuming way, the author highlights the main purpose of the remote sensing satellites; to identify the processes at work on the Earth's surface. Though no preaching occurs, the images of the quickly disappearing Aral sea, the removal of the rain forests in the Amazon or the irrigation of crops in deserts serve this purpose well. Interestingly enough, the natural views tend to have smooth shapes and colours that gently flow from one type to another. However, the influence of humankind takes this smooth melody and introduces sharp discordant chords, breaking the rhythm. Mind you, nature can make its own sour music; just see the lava flow that slices right through the city of Goma. Nevertheless, humankind's influence on the Earth is usually front row centre throughout. The clarity of the images, whether of humankind or natural subjects, are outstanding. Resolutions at about 2m by 2m per pixel enable you to see individual cars. Many shots from the Space Shuttle give more of an oblique angle that puts the viewer closer to the action. Play an out of this world game of 'eye-spy' by guessing the area before reading the caption. Missing from the book are discussions on the accomplishments of remote sensing; in particular views showing changes over time and ensuing reactions by people. The many artistic shots, though bright and sharp, tend to quickly drift out of memory from this lack of mandate for inclusion. Having grown up in fairly flat surroundings I really appreciate views from height. Images from 800km up are definitely out of the ordinary. Andrew Johnston in his book, Earth from Space, provides a wonderful trip about Earth, seeing some of the best images available from this height. Their source, mostly remote sensing satellites, provide these great artistic pictures that also provide important insight into how humans change this world. 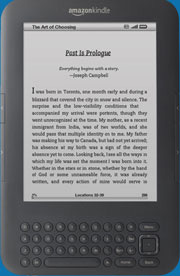 To read more reviews online, or to get your own copy, visit Amazon.com.